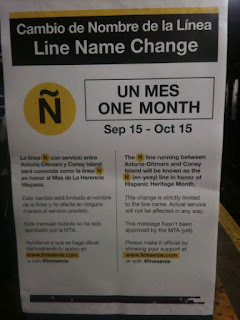 :: Construction Graffiti ::: Hispanic MTA Graffiti!! Whaaaat! A new train? 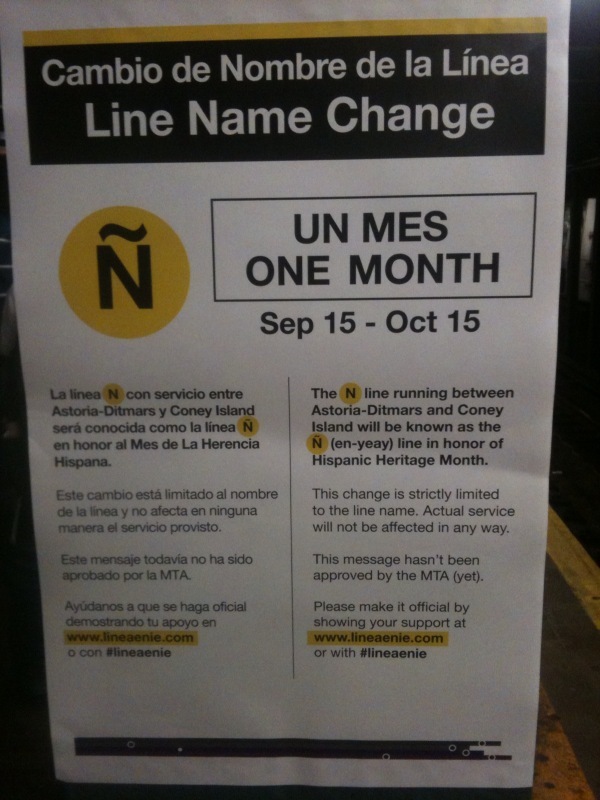 Spotted this MTA-style bulletin in the subway today announcing a campaign to promote the substitution of the N train for the ñ train in honor of Hispanic Heritage Month!